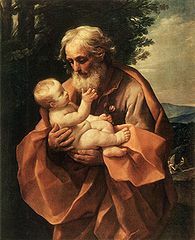 Traditionally referred to as a carpenter, Saint Joseph was the spouse of the Blessed Virgin Mary and foster-father of Our Lord Jesus Christ. St. Joseph’s faith was tried with the discovery that the Mary was pregnant and he did not know of the mystery of the Incarnation. Scripture tell us that he wanted to leave Mary but an angel appeared to him saying: “Joseph, son of David, fear not to take unto thee Mary thy wife, for that which is conceived in her, is of the Holy Ghost” (Matthew 1:20) Joseph understood God’s request and calling for him and did as the Lord asked of him. 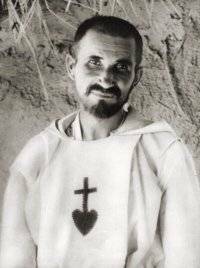 Born in Strasbourg, France on September 15, 1858, Blessed Charles de Foucauld was orphaned at the age of six and raised by his grandfather in whose footsteps he followed by taking up a military career. He lost his faith as an adolescent, but seeing the way Muslims expressed their faith questioned him and he began repeating, “My God, if you exist, let me come to know you.” Under the guidance of Fr. 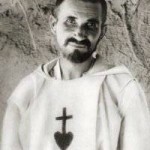 Huvelin he rediscovered God in October 1886 and said “As soon as I believed in God, I understood that I could not do otherwise than to live for him alone.” Ordained a priest at 43 (1901) he wanted to be among those who were, “the furthest removed, the most abandoned.” On the evening of December 1st 1916, he was killed by a band of marauders who had encircled his house in Tamanrasset, Algeria. 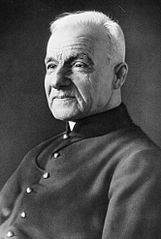 Born in Mont-Saint-Grégoire, Quebec, Canada, St. André Bessette presented himself as a candidate in the novitiate of the Congregation of Holy Cross in Montréal in 1870 with the responsibility of porter at Notre-Dame College. He invited the sick and broken-hearted to pray to Saint Joseph to obtain favors. It was not long before many people were reporting that their prayers were being answered. For twenty-five years he his days receiving those who came to him, first in his small office, then in the tramway station across the street from the college. 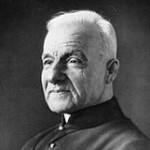 He built the first chapel with the help of friends and with the money he earned giving haircuts to the students of the college with the certitude that Saint Joseph wanted to have a place on the mountain: thus, he spent his whole life preparing a beautiful shrine worthy of his friend. St. Andre died on January 6, 1937 at 91 years of age. Newspapers reported that well over a million people attended his wake and burial. To this day, thousands of visitors come to Saint Joseph’s Oratory to receive physical and spiritual healing. Thérèse was born at Alencon, Normandy. 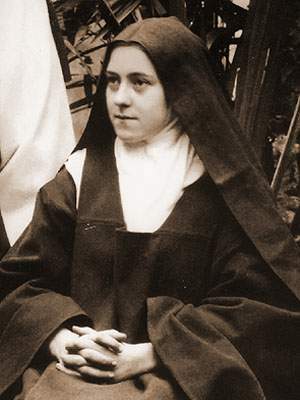 In 1886 she underwent a religious conversion and entered the Carmelite convent at Lisieux at the age of fifteen and she was appointed assistant novice mistress in 1893. She died from tuberculosis in 1897. Her devotional book, “The Little Way”, was widely acclaimed, as was her autobiography “The Story of a Soul”. Miracles of healing and prophecy soon were attributed to her name, and an account of these was appended in 1907 to the autobiography. One year later a basilica was erected in her honor at Lisieux. In 1929 she became patroness of foreign missions, and in 1947 she was named patroness of France, together with Joan of Arc. 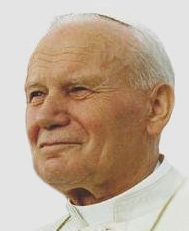 Karol Józef Wojtyła, known as John Paul II since his October 1978 election to the papacy, was born in the Polish town of Wadowice. Driven by his pastoral solicitude for all Churches and by a sense of openness and charity to the entire human race, St. John Paul II exercised the Petrine ministry with a tireless missionary spirit, dedicating it all his energy. He made 104 pastoral visits outside Italy and 146 within Italy. As bishop of Rome he visited 317 of the city’s 333 parishes. His most important Documents include 14 Encyclicals, 15 Apostolic Exhortations, 11 Apostolic Constitutions, 45 Apostolic Letters. He promulgated the Catechism of the Catholic Church in the light of Tradition as authoritatively interpreted by the Second Vatican Council. He also reformed the Eastern and Western Codes of Canon Law, created new Institutions and reorganized the Roman Curia. 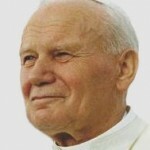 Pope Saint John Paul II died on April 2, 2005 and was beatified May 1, 2011 by Pope Benedict XVI. He was canonized on Divine Mercy Sunday, April 27, 2014 by Pope Francis. 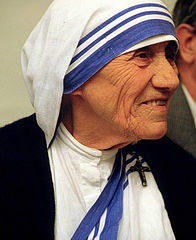 Born Agnes Gonxha Bojaxhiu on August 26, 1910, in Skopje, Macedonia, in the former Yugoslavia, at age 17 Mother Teresa joined an Irish order, the Sisters of Loretto, a community known for their missionary work in India. 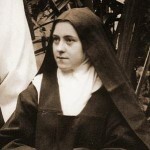 When she took her vows as a Sister of Loretto, she chose the name Teresa after Saint Thérèse of Lisieux. Sister Teresa contracted tuberculosis, was unable to continue teaching she received her second call — “the call within the call”. 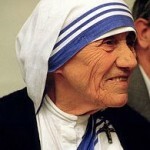 Mother Teresa recalled later, “I was to leave the convent and work with the poor, living among them. It was an order. I knew where I belonged but I did not know how to get there.” In 1948, the Vatican granted Sister Teresa permission to leave the Sisters of Loretto and pursue her calling. For over 45 years, she ministered to the poor, sick, orphaned, and dying, while guiding the Missionaries of Charity’s expansion, first throughout India and then in other countries.